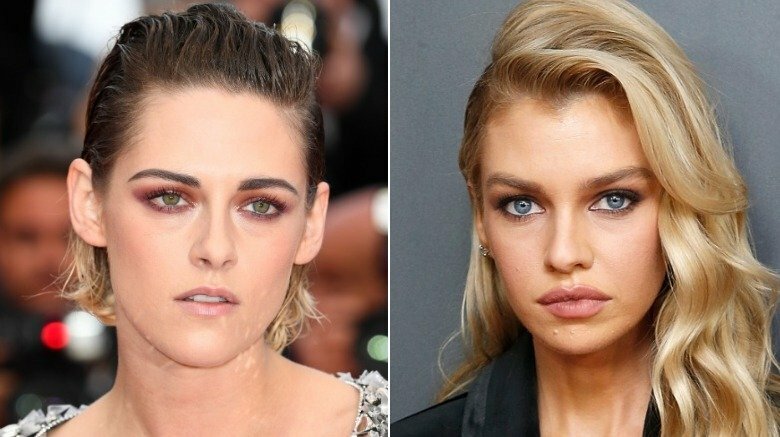 It's over between actress Kristen Stewart and model Stella Maxwell. According to an Us Weekly exclusive, published on Friday, Dec. 21, 2018, the former Twilight star and Victoria's Secret Angel have reportedly called it quits after nearly two years of dating. As a source cited by the magazine claimed, "They stopped seeing eye to eye and were living very different lives." Noting that the former couple "had issues" earlier this year, the insider noted that the long distance between them due to work obligations "didn't help" matters. While Stewart and Maxwell allegedly broke up "around a month ago," it luckily seems like the decision to split was mutual between these amicable exes, as the source added, "Stella and Kristen still share a ton of friends and are friendly with each other." As Nicki Swift previously reported, Stewart and Maxwell, both 28, were first romantically linked in January 2017, and had reportedly already moved in together in Los Angeles by that May. Prior to their relationship, Stewart famously dated musician St. Vincent (via People), visual effects producer Alicia Cargile, and, of course, her Twilight co-star Robert Pattinson. Meanwhile, Maxwell allegedly had a fling with singer-songwriter Miley Cyrus, as reported by E! News. At the time of this writing, the notoriously private pair have yet to publicly comment on their apparent breakup. However, the news comes just one day after Stewart was spotted holding hands with a mystery redhead in Los Angeles, who was later identified as stylist and fashion blogger Sara Dinkin by E! News. Readers may remember that Stewart made headlines when she nonchalantly came out as "so gay" during her Saturday Night Live hosting monologue in February 2017. While speaking about her fluid sexuality that September, she told Harper's Bazaar UK, "I've been deeply in love with everyone I've dated. Did you think I was faking it?" The Runaways star added, "I've always really embraced a duality. And really, truly, believed in it and never felt confused or struggling. I just didn't like getting made fun of." Unfortunately, Stewart and Maxwell aren't the only celeb pairing to recently call it quits. The Hills' Audrina Patridge finalized her divorce from estranged ex-husband Corey Bohan just this week, after first filing over a year ago. Meanwhile, Arrow star Colton Haynes and his husband, celebrity florist Jeff Leatham, are reportedly moving forward with their divorce just months after reconciling their romance. The former couple, who tied the knot in October 2017, initially split this past May.